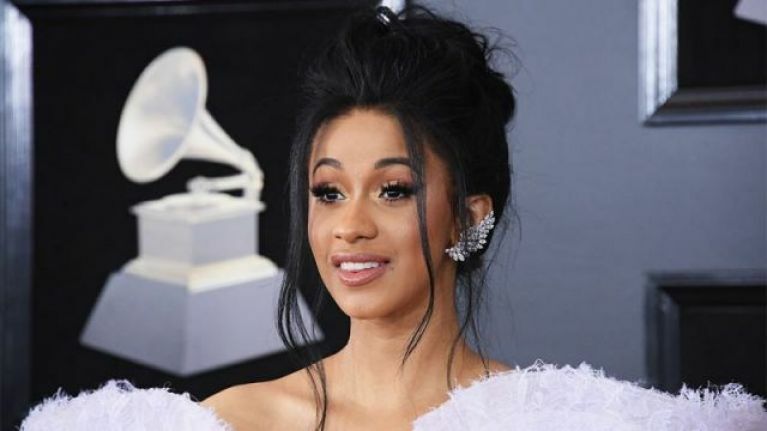 Lots of celebs choose to keep their little ones out of the spotlight and protect their privacy - and up until now Cardi B has done that with her daughter. The rapper gave birth to her first child, Kulture, in June after keeping much of her pregnancy a secret. Cardi, who's usually very candid with fans on social media, has avoided posting any images of little Kulture but decided to share a gorgeous snap of the five-month-old on Instagram late last night. The photo shows adorable Kulture strapped into her carry tot wearing a personalised bib and cute bow on her head. "My heart," the proud mum captioned it. Cardi had previously said that she was worried about showing her baby's face online because of "crazy" people. "Sometimes I do want to show people how beautiful and how precious she is. "She's so precious...There's a lot of people that have crazy minds, you know. I want to protect her! She's my little buggy." "We're really good friends and you know we're really good business partners, and you know he's always someone that I run to to talk to and we got a lot of love for each other,' she said in a video. "But things just haven't been working out between us for a long for a long time.